Technomad LLC, a leader in weatherproof loudspeakers and audio systems since 1995, announces that its Vernal weatherproof loudspeakers are providing audio for narrated tours by Shoreline Sightseeing of Chicago on the waters of the Chicago River.More than 80 Vernal loudspeakers are installed on 18 boats, broadcasting clear speech with supplemental background music on boats ranging from 15 to 50 feet in length. Shoreline Sightseeing is the premier boat touring fleet in Chicago, operating tours on the Chicago River and the Great Lakes that give visitors a historical overview of nearby architecture and other attractions.According to Chad Rice, Director of Fleet Management for Shoreline Sightseeing, the live and pre-recorded audio narrations are significant to the tours, and the audio is intelligible from the shoreline as boats pass through the center of the Chicago River. 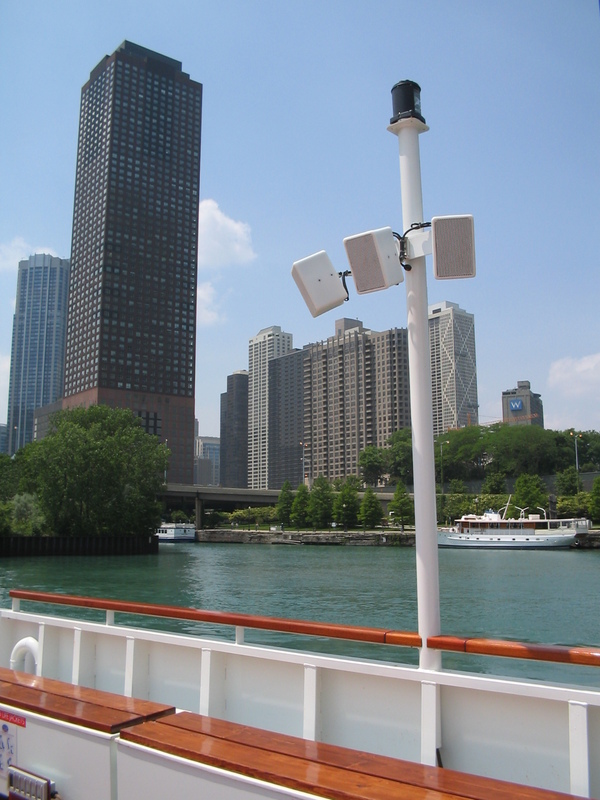 According to Scott Voorhis at Tri-Electronics, a systems integrator for professional sound, video, communications and security systems, the owner of Shoreline Sightseeing wanted to replace their existing loudspeakers with systems that could withstand the harsh elements of the Chicago climate. 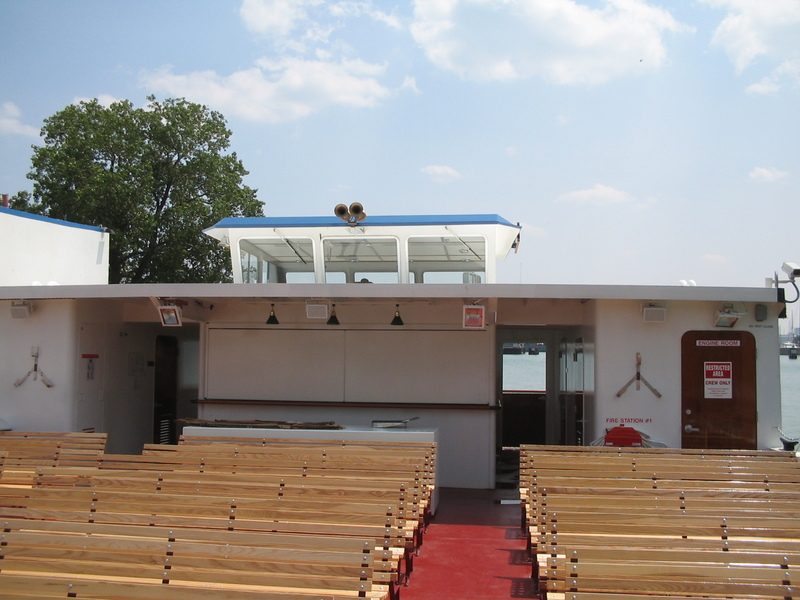 Voorhis and his team designed the layout of the loudspeakers specifically for each boat, adding two Vernals to the smaller taxis and up to 15 on each of the larger boats.Mounting locations were carefully considered to ensure clear speech intelligibility, even pattern coverage, and to maintain exceptional audio quality. Rice added that the weatherproofing aspect was a significant factor in Shoreline Sightseeing’s decision to upgrade to Technomad.They have slowly converted most of their fleet to Technomad for audio, with only one boat to go. Each boat has between one and 15 Vernals depending on its size, as well as a dedicated mixer, amplifier, microphone and processing equipment for live narration and PA announcements.The clear speech emanating from the loudspeakers is also ideal for life-safety related announcements in the case of emergency.